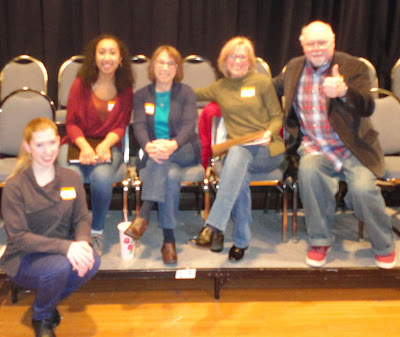 Putnam County Playhouse: 'ANNIE' WORKSHOP FUN FOR ALL! 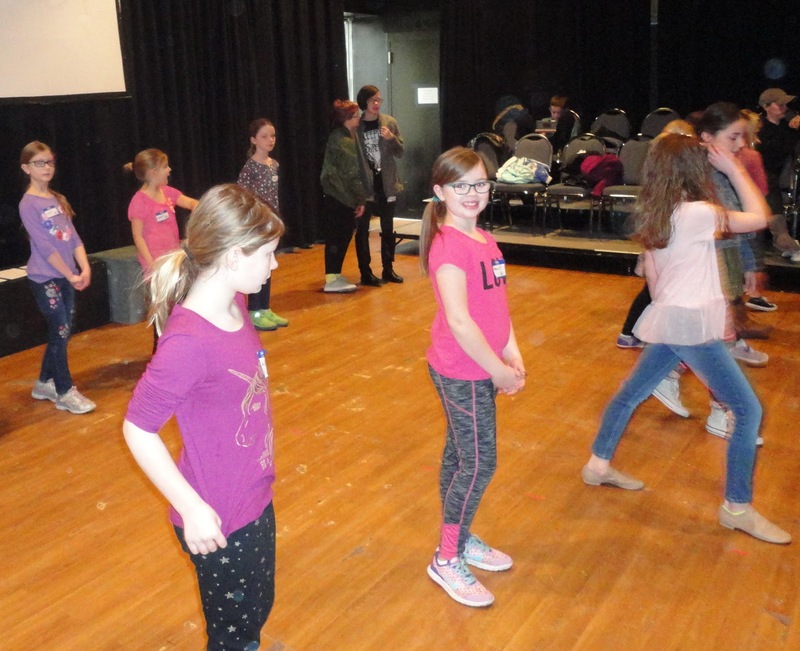 'ANNIE' WORKSHOP FUN FOR ALL! Learning that "It's a Hard Knock Life". On Saturday, March 17, Director Caroline Good held a workshop for those interested in auditioning for her production of Annie. It was held from 10 a.m. to noon in the Kerr Theatre at the Green Center for the Performing Arts on the DePauw campus. Twenty nine participants took part. The staff included Good, choreographer Sarah Bond, pianist Amy Tharp, PCPH Board Member Jack Randall Earles, Vocal Director Erik Foster (not pictured), and Assistant Vocal Director Elise Daniells. They were assisted by Fiona Good. Parents were invited to stay, and the attendees were divided into two groups. Choreographer Bond worked with the first group on a sample routine to the song "It's a Hard Knock Life." 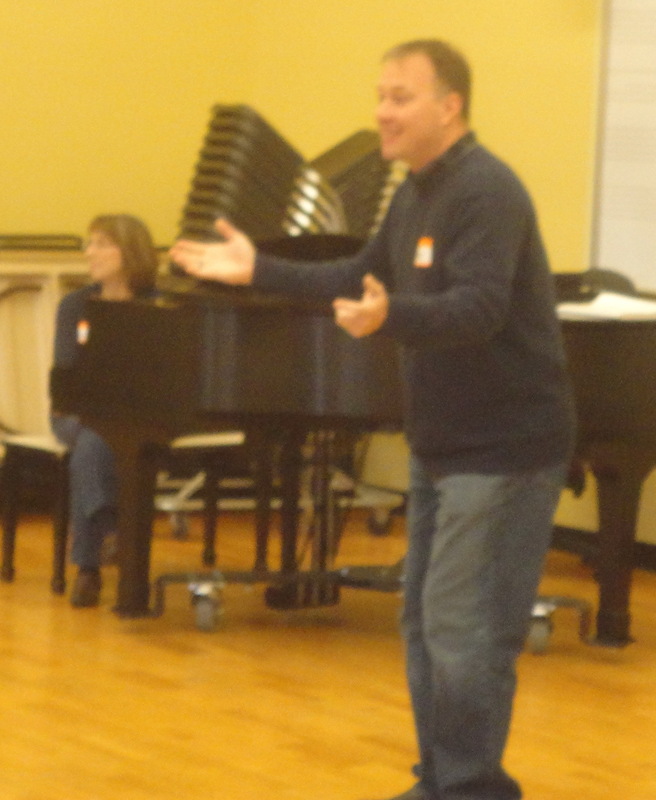 In the next room, Foster worked with the second group on singing and how to prepare for the upcoming audition. Then the groups switched rooms. 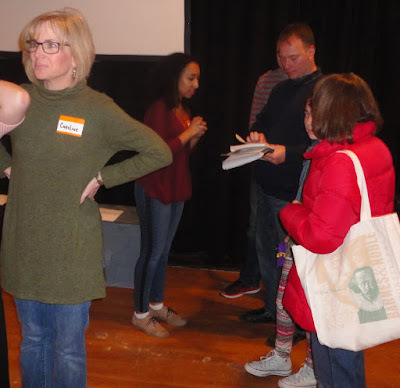 Following the singing and dancing portions of the workshop, the participants took turns reading scenes from the show following direction from Good. Auditions for the musical will be held Saturday, April 7, at 3 p.m. and Sunday, April 8, at 3 p.m. Both sessions will be at the Hazel Day Longden Theatre in Greencastle. Participation in the Workshop is NOT a requirement for those wishing to audition. Annie will open the season for Putnam County Playhouse. It will be produced June 7-9 and June 13-16. More information can be found by clicking on the Current Season/Annie tab at the top of the page at the website. Audition forms can also be downloaded there. To learn more about our sponsors click HERE and HERE.